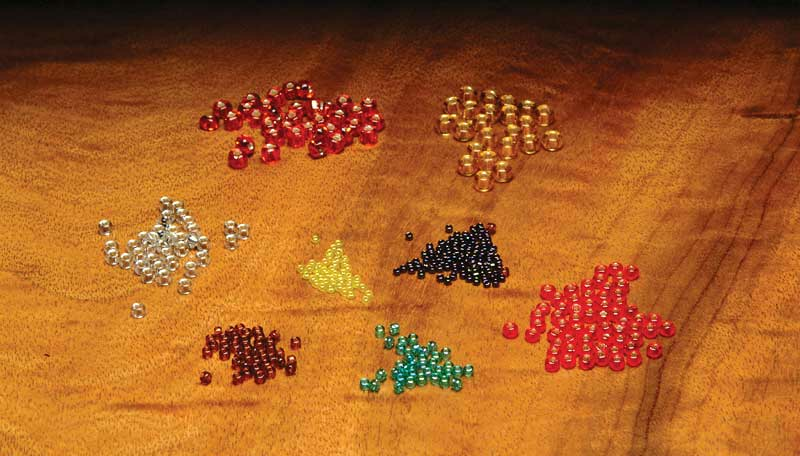 Description Hareline Tyers Glass beads. Fly tyers have figured out that little glass beads incorporated into size #12 to #24 flies really add to the attractiveness of the pattern. How did we ever get by with our midges and scuds and leeches were tied without metal or glass fly tying beads. 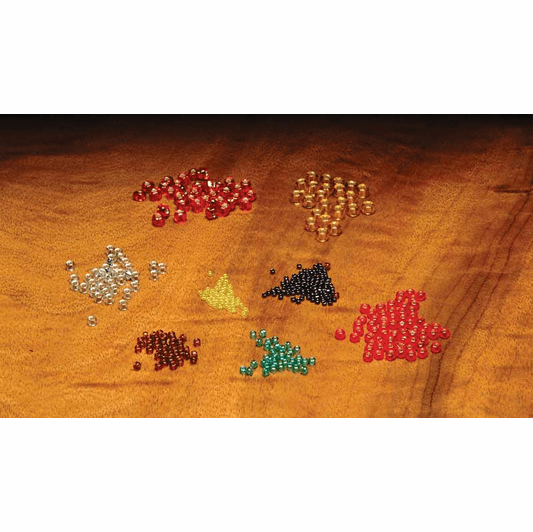 These Hareline glass fly tying beads are offered in about a dozen (or more) wonderful fish attracting colors ranging from reds, greens, pearls, yellows, oranges, and so on. Many effective fly patterns call for a single bead at the head of the fly. Some innovative flies use a string of these beads to form the body of a fly. Let your imagination go wild. The glass diffuses light and refracts sparkle and attraction. Now think about the diffusion of fish magnetism throughout the watery environs and all those fish swimming towards your fly tied with Hareline glass beads and ignoring the flies tied by some other poor soul without the glass fly tying beads. Give the fellow or lass a break and toss them a handful of your flies. Share the love.